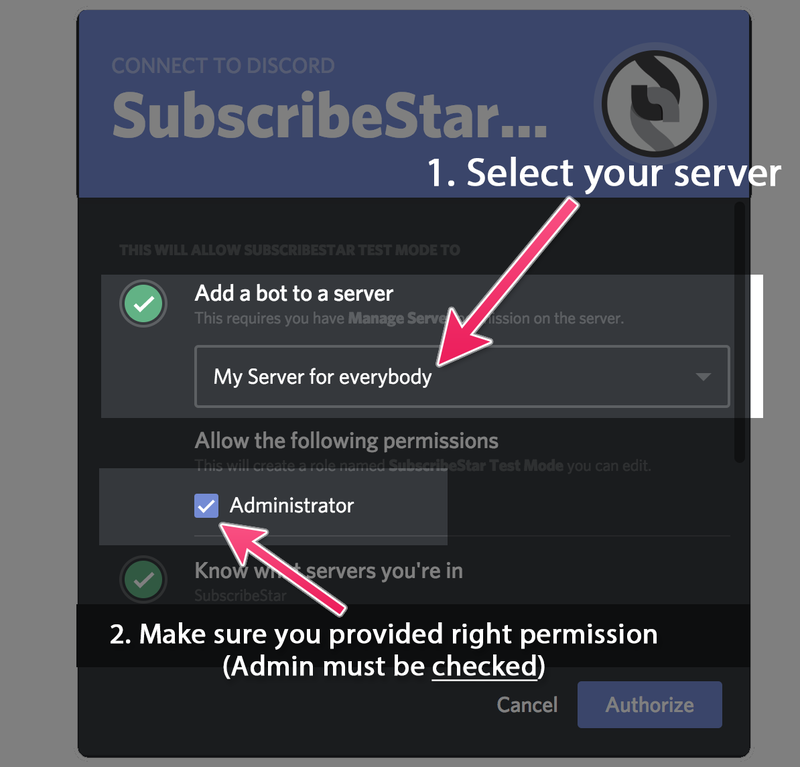 SubscribeStar allows you to automate the process of giving permissions ("roles") to the members of your Discord server ("guild"). 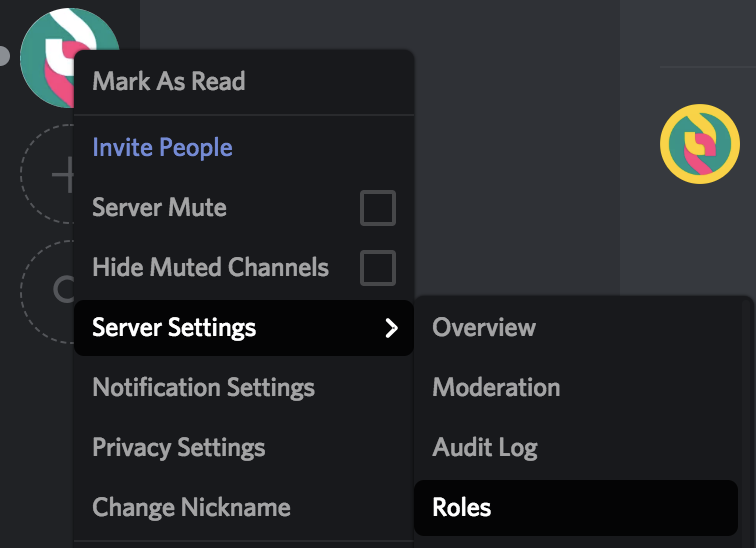 After integration Discord roles will be aligned with the subscription tiers you set up on your SubscribeStar profile. All you need is to press a single button in your profile settings. Then just follow instructions on your screen. The entire process won't take more than 5 minutes. Create SubscribeStar profile by signing up as Star. Make sure your Discord Account is verified. Create Discord server (aka guild) if you haven’t done it yet. Find manual here. Next you will be prompted to let our Bot join your server: Select the server you already created and make sure “Administrator” permission is given to the Bot (it will allow him to manage roles, invites, users etc). Click "Authorize". Once bot joined the server, you need to move SubscribeStar role above the others (so it can assign and manage roles for your subscribers). Open server settings. Drag SubscribeStar role above the others. Don't forget to hit "Save Changes". 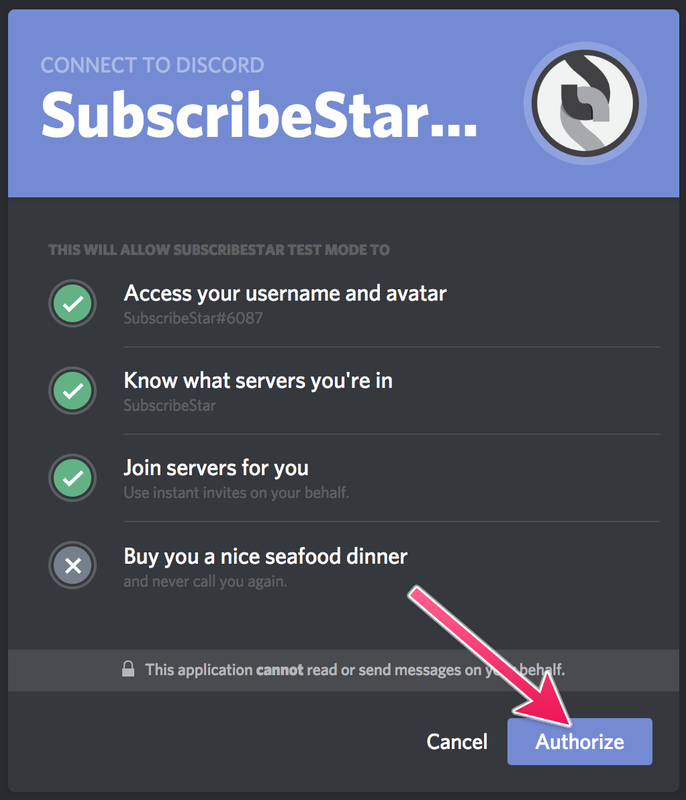 Go back to your Profile Settings Profile Settings and scroll down to the communication section, you’ll see: This means your account is connected and on your Discord server you’ll see our Bot called “SubscribeStar”: Do not kick him and do not change his roles/settings! Always make sure the Bot has Admin role! The last step for you is to assign roles to your channels. 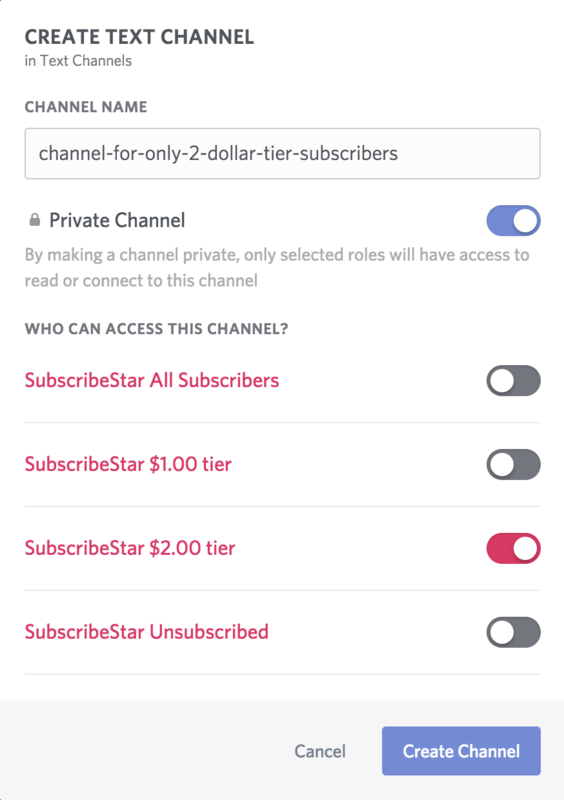 Create a new channel and observe the roles created by SubscribeStar (SubscribeStar roles usually have pink color, do not remove them! ): Set permissions for the channel and at this point we are done! Subscribers from the related tier will have access to the channel. 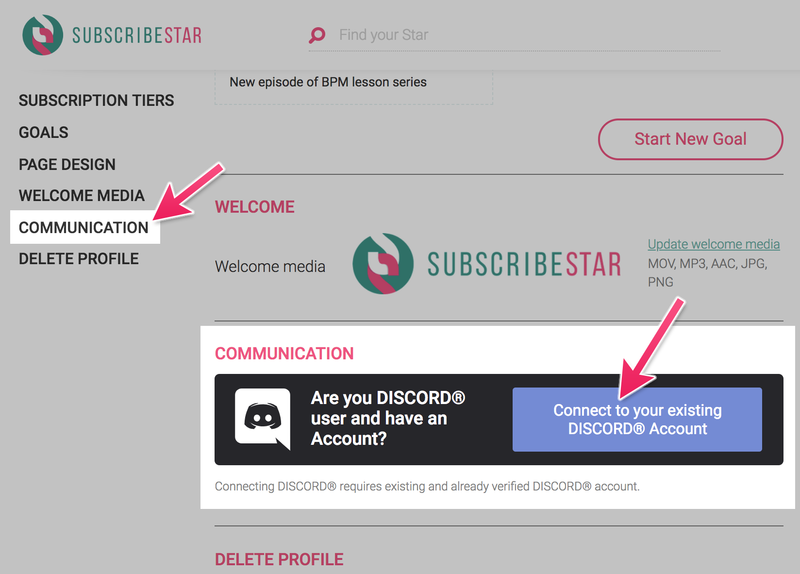 In the UI they'll see: The Discord button will allow them to connect their accounts to SubscribeStar, get an invite and join your channels. Whoever unsubscribes, loses their current roles on Discord and gets “SubscribeStar Unsubscribed” role. If they choose a different subscription tier, their roles will be changed according to the subscription price they have. If you add a new tier, it will appear on Discord. We do not remove tiers from Discord as it may cause problems in subscriber access.